It’s too much trouble to show me the votes. This is my response to Tabitha Lehman, Sedgwick County Election Commissioner’s response to my lawsuit. 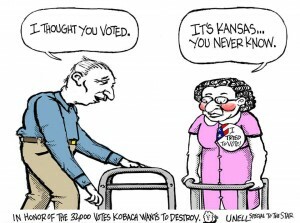 Like Mr. Kobach’s response, there is a long list of stuff I got wrong. Most notably, I didn’t get Ms. Lehman’s title correct, inadvertently including an ‘s’ at the end of election. I should apologize for that. I knew she was particular about that, but I forgot which one was right and guessed wrong. My bad. Both her response and Kobach’s response emphasized that she is the custodian of the records and Kris is not an appropriate defendant for this case. 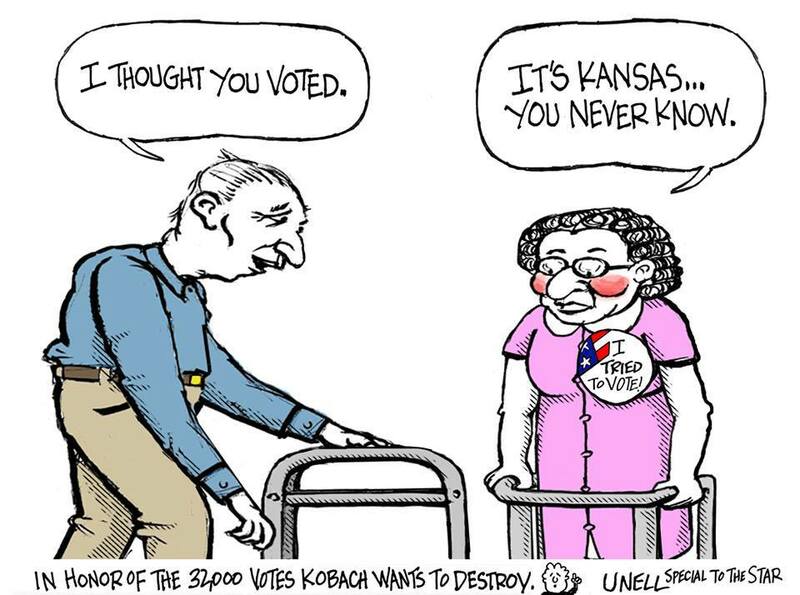 I’m fine with dismissing Kobach as a defendant unless the judge feels differently. I simply wasn’t sure who was the right person and was advised to name both in the lawsuit. Again, my bad. Hopefully all these errors will not fatally compromise my case. Paragraph 5 is my real first disagreement with her response. While there is nothing in the law that requires any credentials for a normal open records request, voting ballots are specifically exempted from that treatment. If these records constitute ballots, as determined in my 2013 lawsuit, then they are NOT available at request, but require a judge’s permission, allowing the judge to make the call. Academic research with proper protocols to protect privacy are situations where a judge may find it reasonable to grant access to otherwise sealed records. My credentials lend my case credence rather than being irrelevant. I am hoping a judge can grant me access to these records to conduct a study without setting a precedent of these records being available to anyone who asks for any reason. In addition, if these records are considered ballots, they should be made available for review during a recount. I filed a recount request after the 2014 election, specifically asking to examine those “ballots”. I was informed that the R.T.A.L. records would not be made available for the purpose of conducting a recount. Paragraph 8 is wrong. Summary tapes allow her office to add up the votes cast per candidate from each precinct rather than accepting the computed totals. They do NOT allow for verifying that the total votes cast per candidate for each precinct is correct. That detailed verification is the reason the R.T.A.L. records exist. Ms. Lehman concedes in paragraph 9 that such an audit has never been performed on the voting machines in Sedgwick County. That she has never done such an audit and, in addition, will not make those records available for a recount is why I have sued for permission to do it myself. Paragraph 17 states that it would be “unnecessarily burdensome” (too much trouble) to produce these records. It will not be quite as difficult as she envisions, although it will still be an effort to do the audit I have planned. I am not interested in the results for paper ballots cast by mail or provisionally. I am asking permission to conduct a post-election audit of the tabulated machine results via the R.T.A.L. records for the 2014 election to verify the results of the summary tapes for votes cast on election day and determine the error rate for the machines versus a human count of the R.T.A.L. records. I will be happy to work with her staff to minimize the disruption to her office but due to the admittedly lax organization of these records, all 42 boxes will have to be opened and inventoried to determine whether or not each roll is part of the chosen sample. However, only the rolls in the sample will need to be reviewed or copied. I estimate the sample will comprise a few dozen R.T.A.L. rolls. It cannot be denied that going through each record will be a laborious and tedious task, but if copies are allowed, this becomes my task, not Ms. Lehmans. Posted on September 2, 2015 September 2, 2015 Categories Voting, Voting machines1 Comment on It’s too much trouble to show me the votes.